angels, messengers, watchers and otherwise: “Anunnaki.” Since TIAMAT, the genetic ‘coil’ (DNA) that programs the pattern into life-existence has been referred to as the ‘serpent coil’ by mystics; the snake coiled around the Tree of Life. Prior to the Fall or the “disposal of humanity” (via the Flood or some other calamity), there was a mass ‘exodus’ of the gods and other angelic (Anunnaki or Igigi) beings; a period where the ‘highest beings’ withdraw from this existence so as not to become confined to its more condensed 3-D reality. By remaining outside the ‘system’ (so-to-speak), they could be allowed access to it by a ‘higher order’ and thus be able to later more directly interact with it again by incarnating into appropriate genetic vehicles – so that they might appear as gods and angels to the later post-diluvial humans, which they successfully did and out oldest available literature is overflowing with such renderings. It is during this ‘shift’ in consciousness on the planet (and the local universe) that we also see a ‘division’ or polarity of “power” begin to swell up – some pendulum movement of the cosmos that forces the illusion of 3-D movement in an otherwise entangled existence. Now we witness the rise of the “Dark Brotherhood,” beings which preferred to ‘master’ this existence from inside, rather than withdraw into ‘higher orders’. In the fractured and fragmented material existence, the crystalline nature of lights and shadows could be easily manipulated. thereupon could all be manipulated to change the nature of reality – and so they did. In the truest nature of reality, that which exists apart from the fragmentation of the ‘zones’ of manifested existence, you see a very static and amoral force that is raw and primordial, all-encompassing and all-present in the heart of all existences that were ever energetically ‘separated’ from this Source. This is essentially what is being described in the Mesopotamian accounts that relay information about a time before even the Anunnaki existed and before they fashioned a physical existence to occupy – possibly even to get away and remove themselves from these chaotic primordial forces and into a different existence. Thus, we now have the manifested expanding pattern-programmed universe around us! Discover even more about angels, aliens and UFOs in the history of human experience with Divine encounters in the new Fifth Anniversary Second Edition of ENOCHIAN MAGIC & KABBALAH (Liber-K) by Joshua Free. The OTHER is not separate ‘matter’ in the sense of what most people envision as dimensions or “physical” layers. The veils as we perceive them simply represent filters that keep us from experiencing the All-as-One for the benefit of an individualized existence. The only materially visible realm in this list (for the sake of ‘human perception’) is the Depths which humans interact with as the ‘physical’, condensed, reality around them. One commonly overlooked facet is that the ‘all-encompassing’ All-as-One entangled and interconnected aspect of the universe can be found within and as all existences and perceptions of existence. This means that the ‘Other’ is directly connected (by some realization) to all ‘perceived levels’ and all ‘sentient intelligence’ in the universe; whether it be in the Heights or Depths or in the between – it is there. These currents are likewise akin to specific color ‘frequencies‘, celestial bodies (planets) and notes of music (among others) that esoteric priests and magicians have worked to ‘correspond’ to them after adopting the original archetypal (ancient religious) magic systems from Mesopotamia – and specifically ERIDU (by way of ENKI, MARDUK and finally NABU). Emotional stimulus of the ‘Underworld Initiation’ is very similar – though the ‘lights‘ and ‘colors‘ are all but washed out completely and the Observer is left with bleak and abysmal visions if they are unprepared. “Fear” neural-chemicals will distort the reception of these experiences – a typical concern for all non-adepts who venture into these advanced efforts. 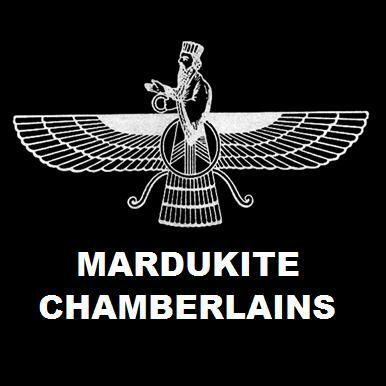 A master compilation of mystical exploration into the heart of the ancient Mesopotamian Mysteries, this complete practical companion to the Mardukite “Necronomicon Anunnaki Cycle” illuminates the revolutionary teachings and source materials of the Modern Sumerian-Babylonian-Anunnaki Tradition of the Mardukite Chamberlains (Ordo Nabu Maerdechai), edited by Joshua Free, the presiding Nabu of the organization since its inception.